Ratchets are an important tool for mechanics, repair professionals and amateur handymen. Our range of Milwaukee ratchets are perfect for every application. This is a brand with an excellent reputation for manufacturing reliable tools and the Milwaukee cordless ratchets are a brilliant example. 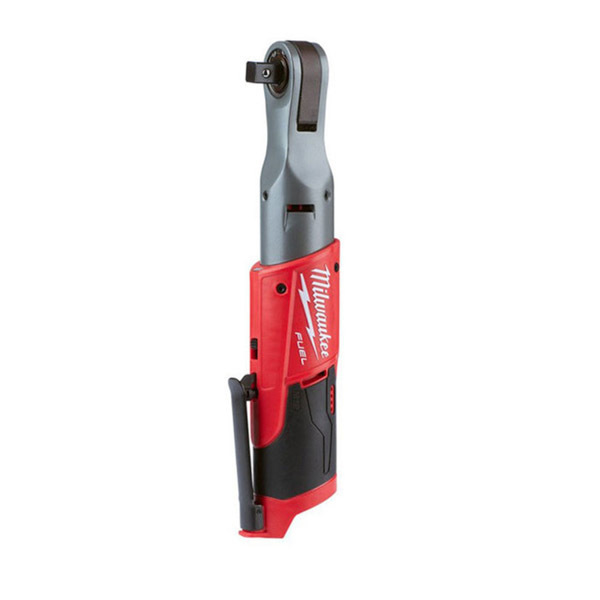 The Milwaukee battery ratchet is a handy tool because the compact lengths and low-profile head design means that they can be used in awkward and confined spaces, while still delivering a strong performance. We stock a wide range of Milwaukee ratchets, so you should easily be able to find one that best suits your needs. Our range includes Milwaukee 3/8” impact wrenches, a Milwaukee 1/4" ratchet and a 1/2” Milwaukee M12 ratchet. The popular Milwaukee M12 3/8” impact ratchet has max torque of 75Nm and 200rpm, but the Milwaukee ratchets can deliver up to 81Nm and 250rpm for increased productivity. 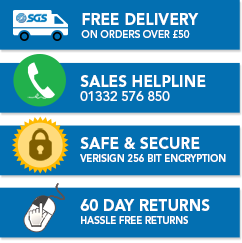 Users can benefit from a variable speed metal trigger for complete control. The impressive POWERSTATE™ Brushless motor is the best in its class and capable of improving motor life by up to 10 times the competition. Take a look at our range of Milwaukee cordless ratchets today - you are sure to find one which suits your needs. If you are unsure which Milwaukee battery ratchet is right for you, you can contact our sales team who will be able to help you pick one out.